In 1984 I took up a position as principal of a newly opened second-level school in a severely disadvantaged area. Unemployment among parents was in excess of sixty per cent. Dr Brian Fleming is a retired post-primary school principal and author. A survey carried out two years previously found that nobody living in the catchment area had a third level qualification. So, as the school approached full cycle in 1989, the question of third level access became a priority issue. Indeed third level access was also identified as a major issue to be addressed nationally in various official publications during those years. There were some community based responses often supported by Partnership companies. We were involved in establishing one such effort which, with some DES support and limited but welcome help from the private sector, brought about significant improvement. A potentially more important development occurred when the Higher Education Institutions began to take a more active role, because of the far greater resources at their disposal. This included the appointment of access officers, and the introduction of various initiatives to make going to college a more realistic option for children from poorer backgrounds and disadvantaged areas. Many third level colleges have access to significant philanthropic funds and began to devote portion of these to the access issue. In addition, the Higher Education Authority, in deciding on the level of annual funding available to individual colleges, began to take the institution’s access activities into account in determining the block grant. During my time dealing with the issue, I met many extremely dedicated people, at both second and third level, working with great commitment to improve the situation. Yet, as we know, notwithstanding all this effort and fairly considerable expenditure, progress is extremely slow. All the same, I would always have considered that third level access policies were contributing to the improvement of chances for disadvantaged pupils and to the closing of the gap between them and their peers throughout the education system generally. However, a recent experience caused me to wonder if that assumption is always valid. The case relates to a large urban area where the local population is served by five schools. Schools A and B are voluntary secondary schools. Both charge quite a significant voluntary contribution and one (perhaps both) charges for other items such as some school exams which traditionally were set and marked by teachers in the Irish education system. They admit pupils from the entire area. The remaining schools, C, D and E, all serve localities that are disadvantaged, some more than others. Each of them qualifies for the DEIS designation by all the familiar socio-economic and educational criteria. These schools accept all applicants from their own immediate areas. Each year the national daily newspapers produce their college feeder lists. To put it mildly this approach is controversial. Over-hyping college as the best option, not affording enough attention to alternative routes to college, placing undue emphasis on Leaving Certificate results, ignoring a lot of the other very important work done in schools and not affording enough attention to the Further Education sector are among the most frequent criticisms. These are observations I would share. Also, these figures tend to be misinterpreted. During the Celtic Tiger years it seems that editors and correspondents in property supplements tended to appoint themselves as arbiters of what constituted a ‘good’ school. Nevertheless, at their core these lists – if properly assembled and calculated (not always the case) – must indicate something. The figures for 2016 indicate that schools A and B had progression rates above 6o per cent. For schools C, D and E the corresponding figures varied between 30 and 45 per cent. So, we can say with certainty that there is a significant gap to be bridged. Happily for those attending schools C, D and E some help is at hand. The DEIS scheme provides additional resources to such schools. It can reasonably be argued that such assistance is not at the required level but that’s a debate for another day. Help is also provided by a number of Higher Education Institutions and their access schemes. So the state is providing additional resources through DEIS and third level access programmes, supplemented by a community based initiative, to enable students in the three schools bridge the gap. That’s where this saga becomes distinctly odd. In the case of schools A and B, which have relatively high progression rates there is another Third Level Access programme offering considerable assistance. It is understandable, of course, that the principals of those schools are happy to accept additional resources. Naturally a school principal will welcome help from a legitimate source which will further the ambitions of his/her pupils. However, one must question the decision-making process of the Access Programme. Levelling the playing field or broadening the gap? Securing places at third level is, sadly, a competitive process. Not only do disadvantaged students lose out in getting such places but even for those who are successful there is inequality in the courses they access. In summary, public funds are being used to level the playing field, in accordance with government policy, in the case of schools C, D and E. At the same time, public funds, supplemented by philanthropic resources, are being expended in the opposite direction, to ensure that the gap remains in place or may be even widened. Public funds are being used to level the playing field. At the same time, public funds are being expended to ensure that the gap remains in place or may be even widened. A fairly obvious question arises – is this a unique or unusual case? So, I sought information from both the HEA and the DES. It turns out that all DEIS schools have access to a third level access scheme which, of course, is good news. The position in relation to non-DEIS schools is less clear. The HEA has no information on this topic. The DES is ‘aware that some receive support from access schemes, but we do not hold data on this’. The social divide in access to college has been a problem in Irish education since the foundation of the state. In recent decades successive governments have adopted policies to tackle the issue. A plethora of reports and action plans have been issued. Targets have been adopted and often missed. Progress has been very slow, which is particularly unsatisfactory given the life-time benefits that accrue to those with a third level education. This is a deep-seated problem reflecting weaknesses throughout our educational system. In such a situation scarce resources need to be targeted to those most in need. In the DEIS plan 2017, the Minister lists an intention ‘to assess the impact of current initiatives to support equity of access in Higher Education Institutions in the last quarter of 2019′. With the allocation of an additional Junior Minister to the DES, and given that she has been assigned specific responsibility for Higher Education, it seems reasonable to expect this review to be carried out far sooner. 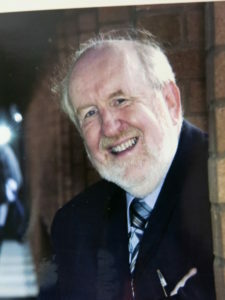 Brian Fleming is a retired teacher and author of Irish Education, 1922–2007: Cherishing All the Children? NextThe greatest Transition Year project ever?